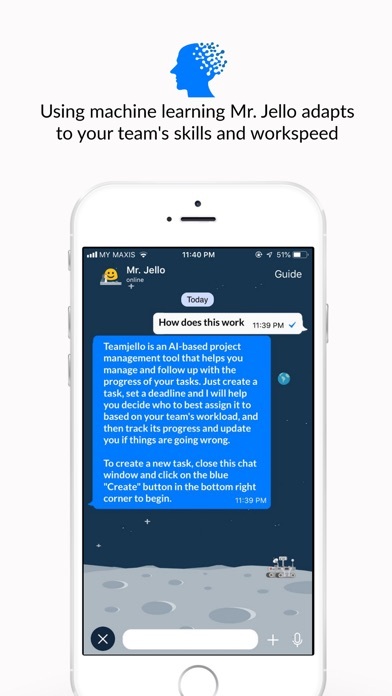 Teamjello is the world's first AI-powered project manager. 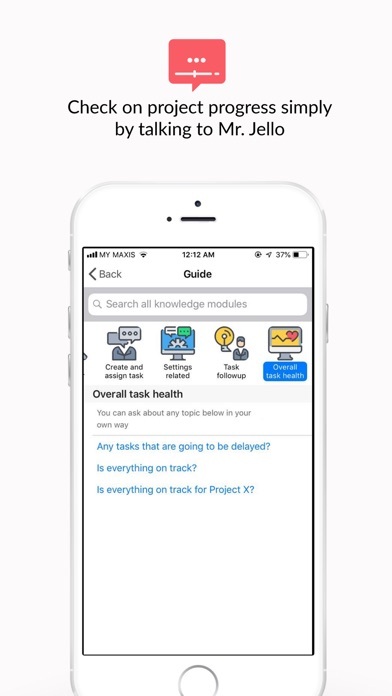 You can use this app to create, manage and track tasks that you assign to yourself or your team. Teamjello will learn from repeated interaction between your team and their allocated tasks, and eventually figure out the best execution plan for your project in terms of timeline and quality of work. 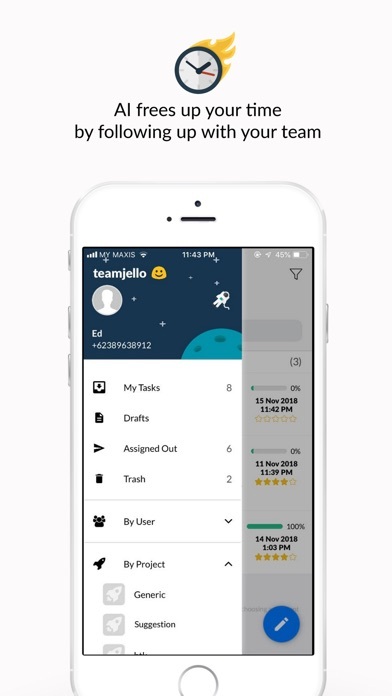 Teamjello will also completely remove the need to follow up with a team member on a task - it will observe in the background and automatically follow up with team members on your behalf by messaging your team members through a simple text messaging interface. The Teamjello bot, called Mr Jello will automatically reach out to members of your team whenever it feels there is a risk of being late for the delivery of a task. You can even talk to Mr Jello and ask it any kind of question related to your project, such as whether "Everything is going smooth", or "Do I have any overlapping tasks". 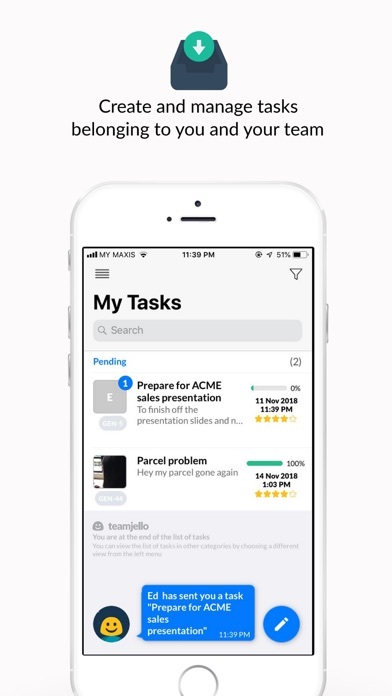 KEY FEATURES: - Create and manage projects and tasks and allocate them to yourself or your team members - Have the A.I. learn from repeated interaction between your team and their allocated tasks, and watch as the A.I. improves on its automated allocation and tracking of your project - Mr. Jello, your A.I. 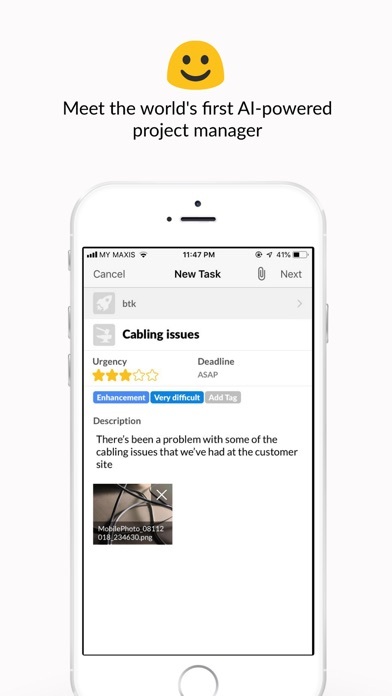 powered project manager will automatically follow up with team members on their tasks and get progress updates to report back to you - The A.I. 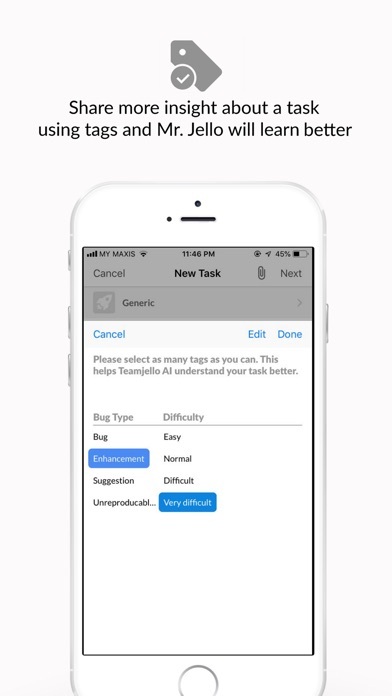 will assign a risk tag to each task, which is a combination of factors including the competency of a team member, his or her availability, workload and so on in establishing the priority of a task - Talk to Mr Jello through a simple text messaging interface to find out the health of your tasks.